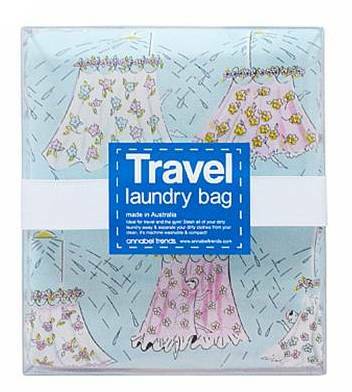 Stash away your dirty laundry with the clever and convenient new travel laundry bags from Annabel Trends. Made in Australia, this handy and stylish little travel companion will keep your clean clothes separate from your dirty with ease. Ideal for use at the gym, a weekend getaway or even long travels, the new laundry bags close neatly with a zip and are compact to fit within your travel case - simply fill with dirty clothes as you go. Travel comfortably and keep everything organised and clean with Annabel Trends!